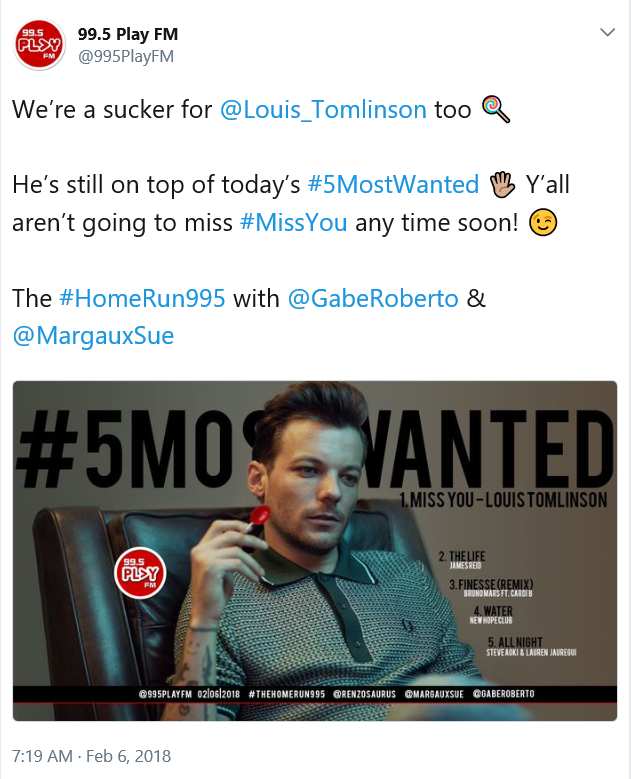 Operation Miss You was a fan-run promotional effort for Louis Tomlinson’s song, Miss You. 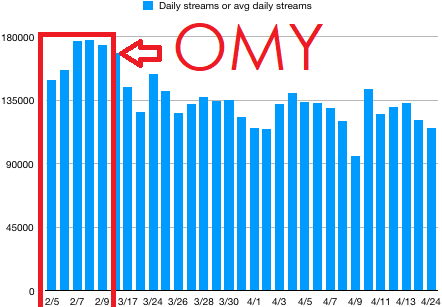 Chart of Louis' Spotify streams - highest streams were during Operation Miss You! Our first operation for Day 1 is to watch the music video on YouTube. Let's get those Miss You views up! As of midnight, the number of views are 9,130,797. 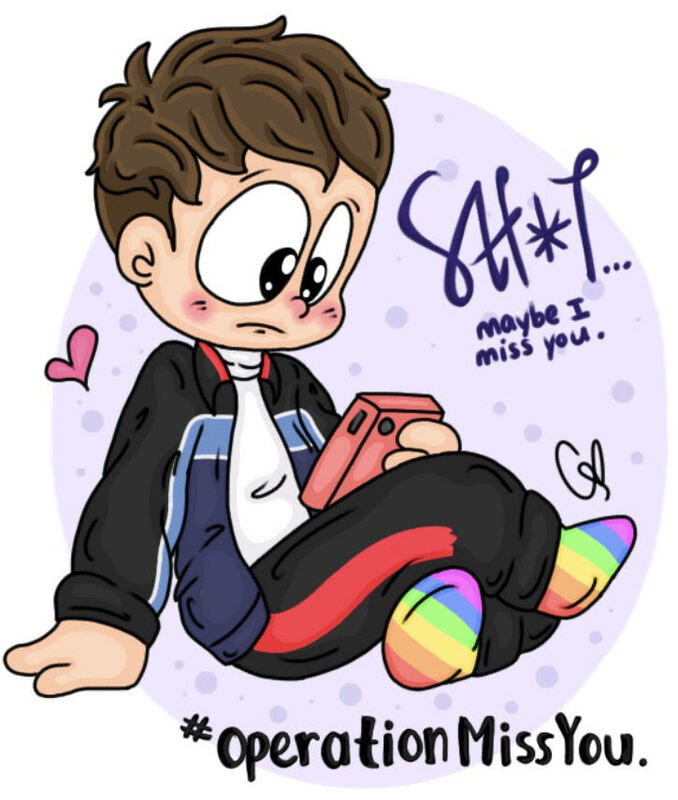 #missyouwatchparty is the hashtag to try and trend on twitter! 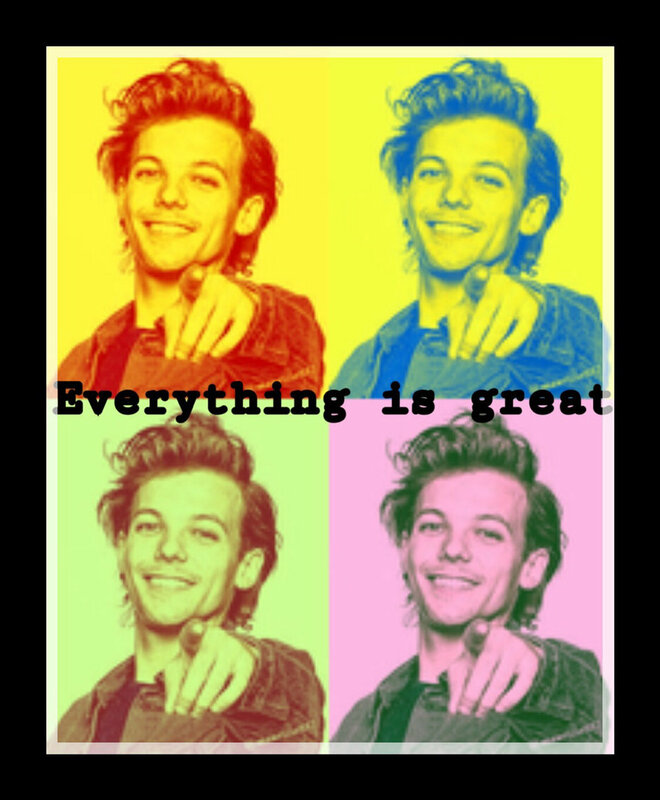 Click the icon to loop the playlist and it will play non-stop, all day! If you connect headphones to your laptop or computer, you can let it play all night and all day without driving the neighbors crazy! While you’re watching, make sure to Shazam the song as well! 18,956,397 streams to 19,791,397 streams! That's almost 1 million streams in just 5 days! 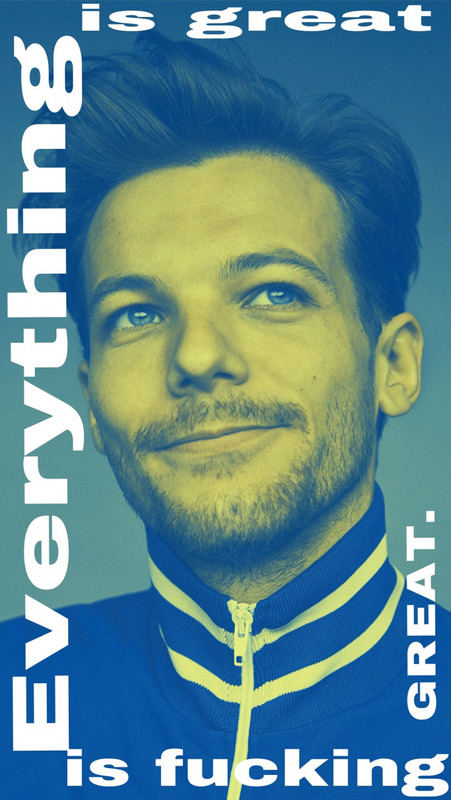 Be sure to Shazam the song while streaming and don't forget to tag any posts on tumblr with "Louis Tomlinson" for Fandometrics! Also, you can vote for the iHeartAwards and do radio requests while streaming! Plug headphones into your laptop for the overnight hours! Read these streaming rules! 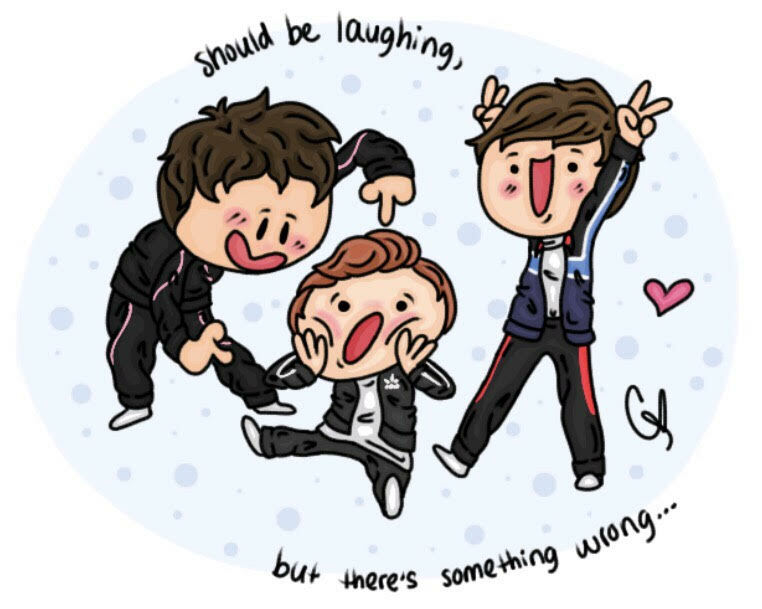 Here's a playlist that you can use (or make your own) - click the Repeat button! 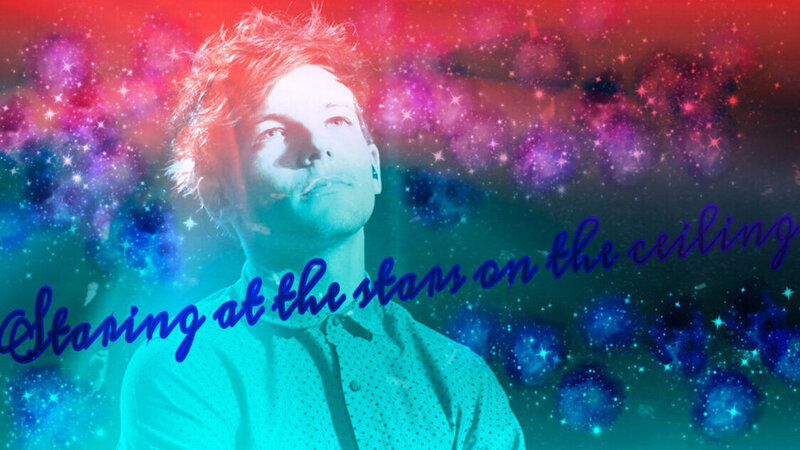 Beccasafan made a program that automates this a bit. I made videos to show you how to use Becca's tools. There's also detailed instructions with pictures. 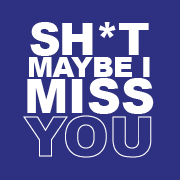 This generates a tweet request to a radio station to play Miss You. #playmissyou is the hashtag to try and trend on twitter! You can add this hashtag to your twitter requests. Click these links below to open a page with links to pre-made tweets. Personalize the tweets! 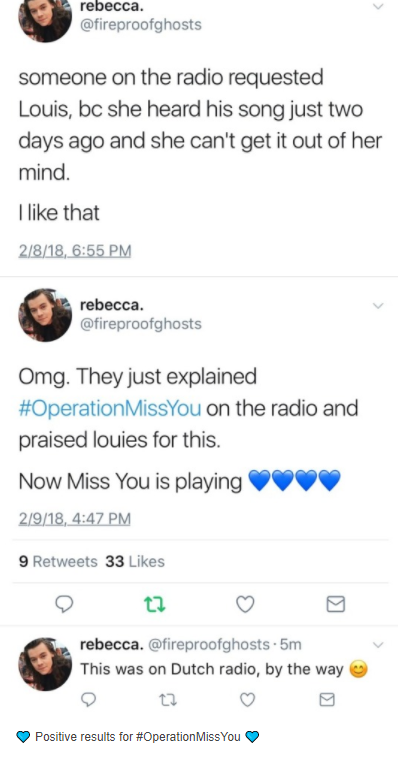 C made two types of #OperationMissYou promo packages that have been shipped out to larger radio stations and several regional stations as follow-ups to the press releases - 30 in total! In the little tubes and striped envelopes were the M&M’s with custom Miss You-related phrases printed on them. The packages also included informational cards and a hand-written note. The iHeart website - Set VPN to US or Canada! 50 votes per day for Best Solo Breakout. Voting closes March 4, 2018 12 AM EST. Our Thunderclap went live February 9 with 3,009 supporters and a social reach of 6,301,310! Click image to see larger!